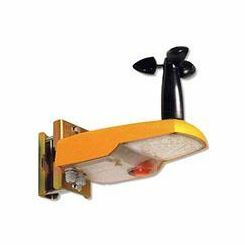 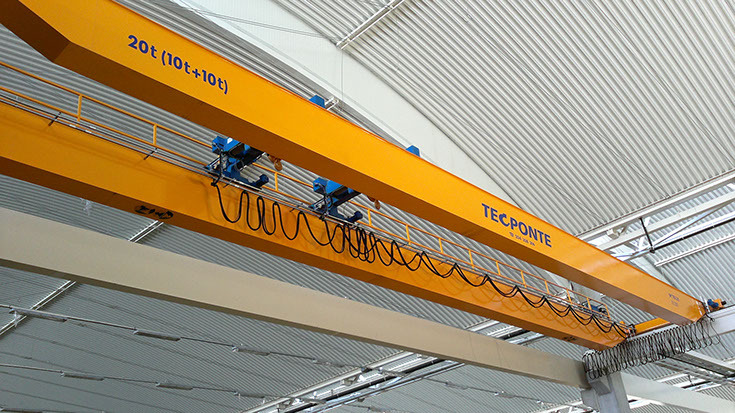 • Availability of various hook position heights. 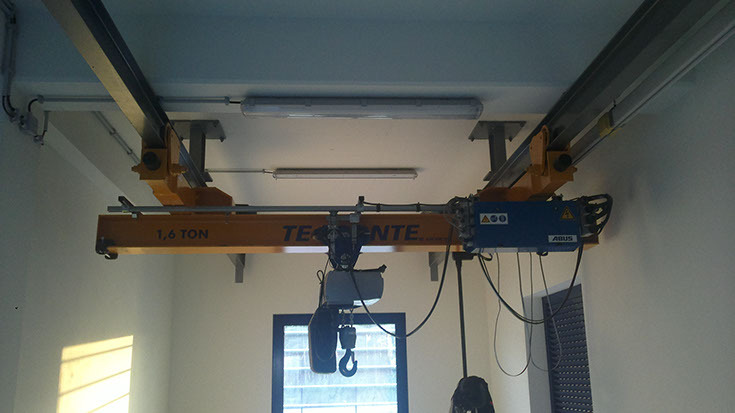 • Ideal para situações de grande produtividade com necessidade de servir vários postos de trabalho em simultâneo. 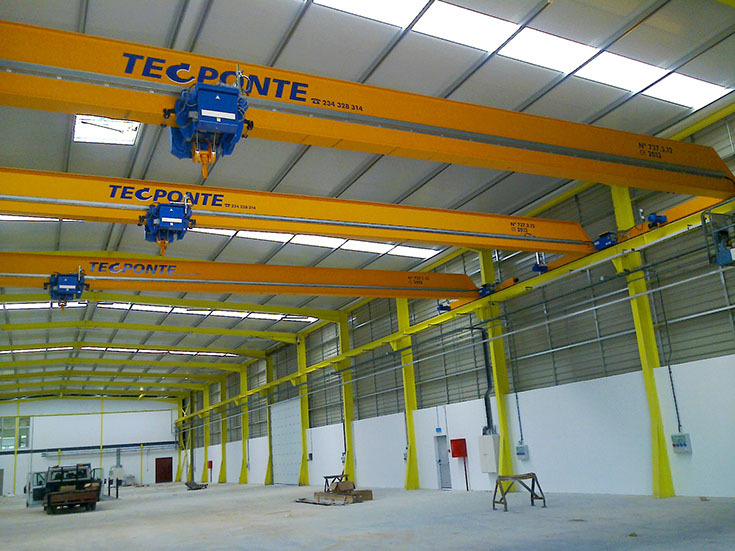 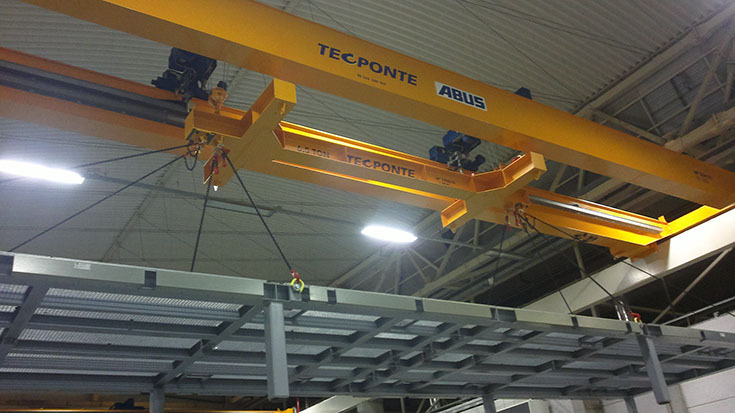 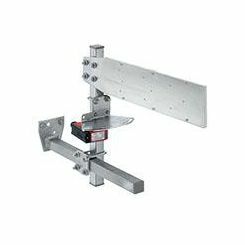 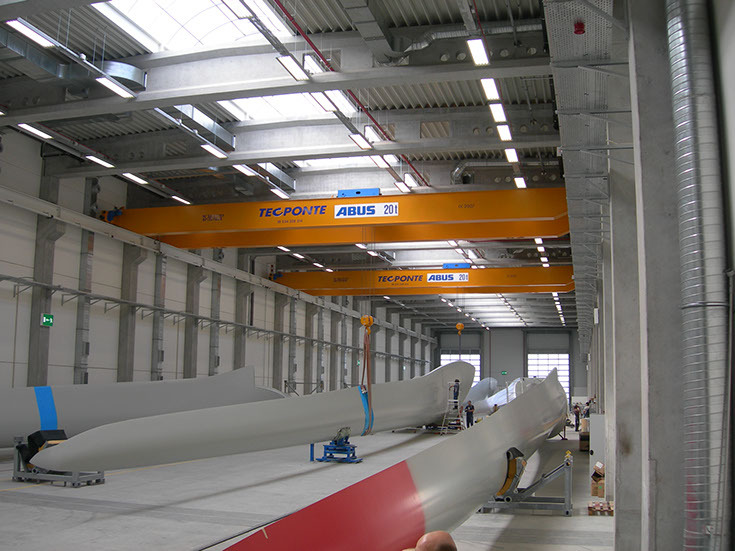 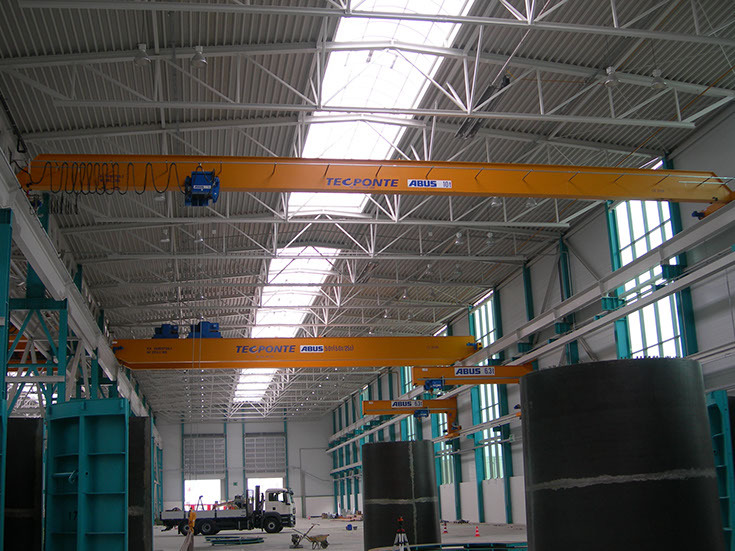 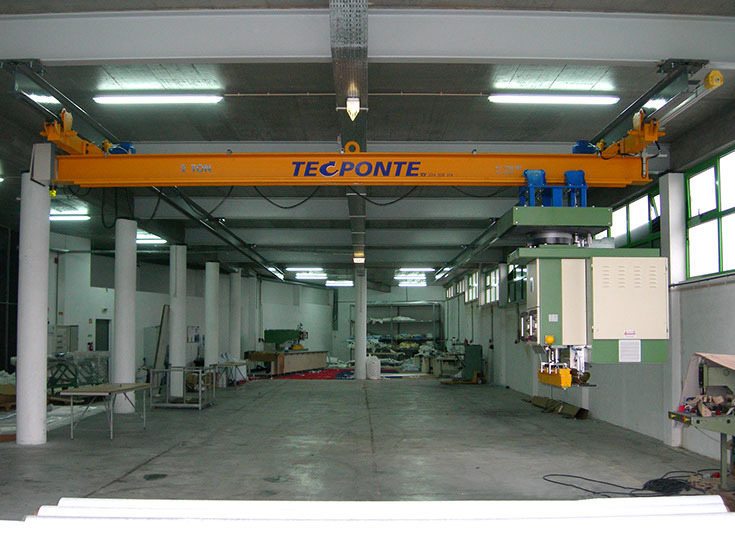 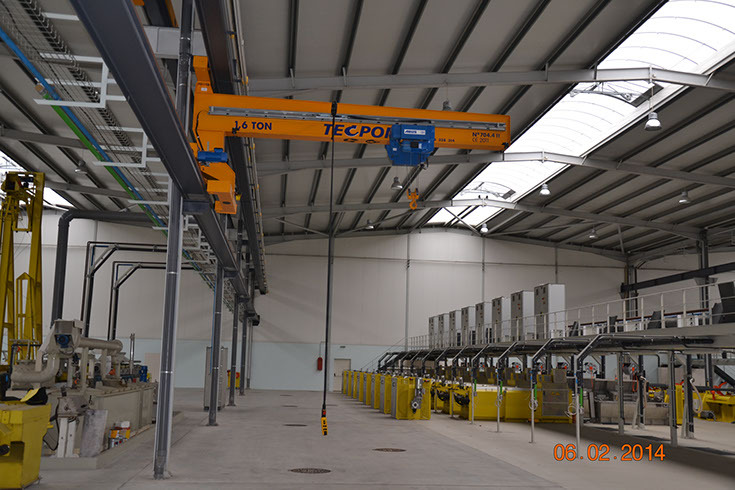 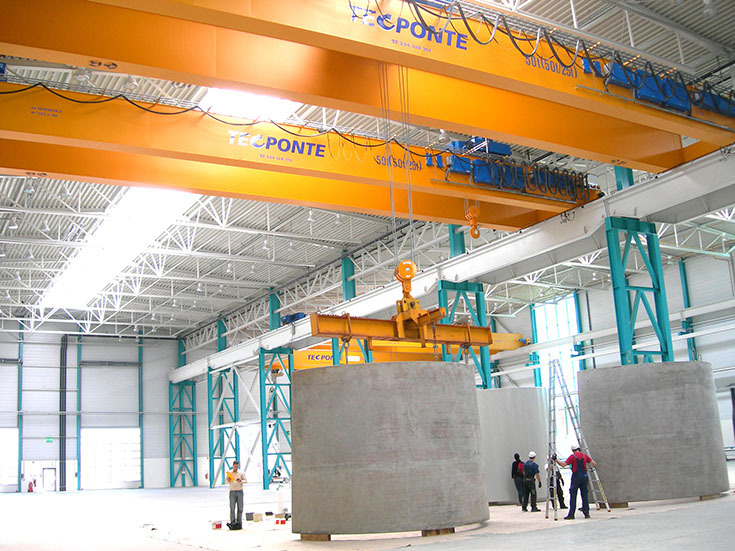 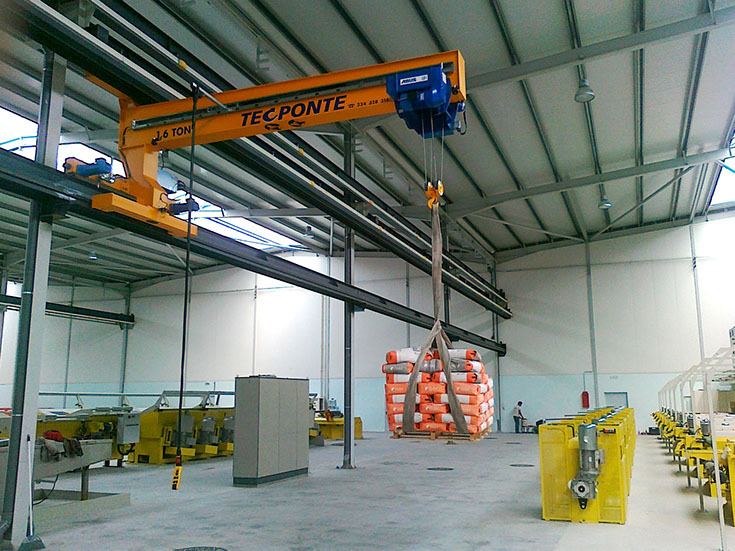 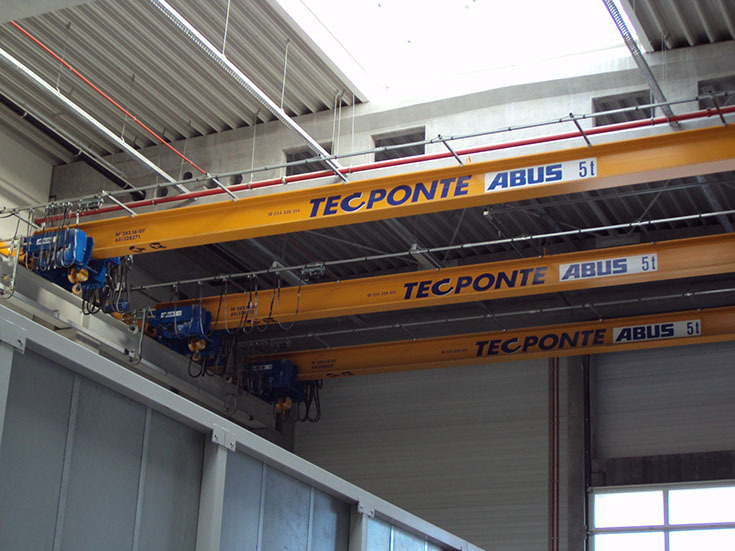 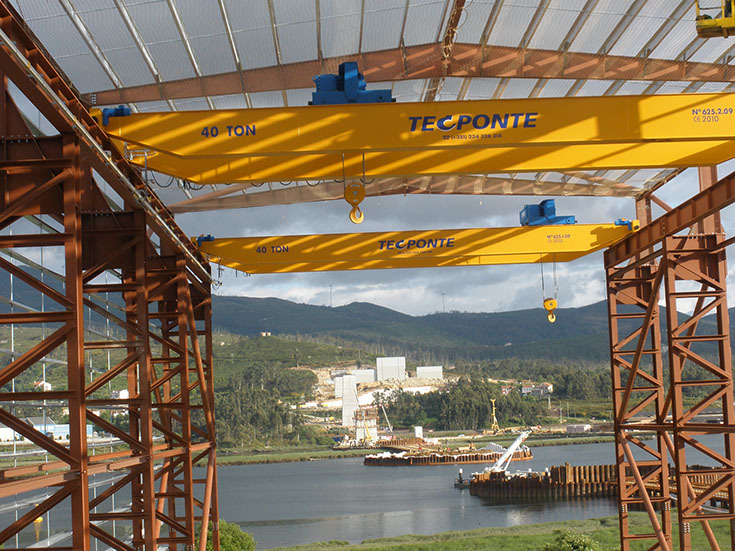 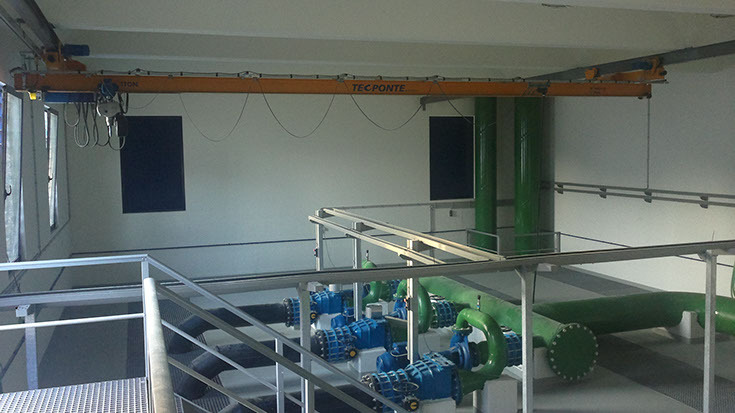 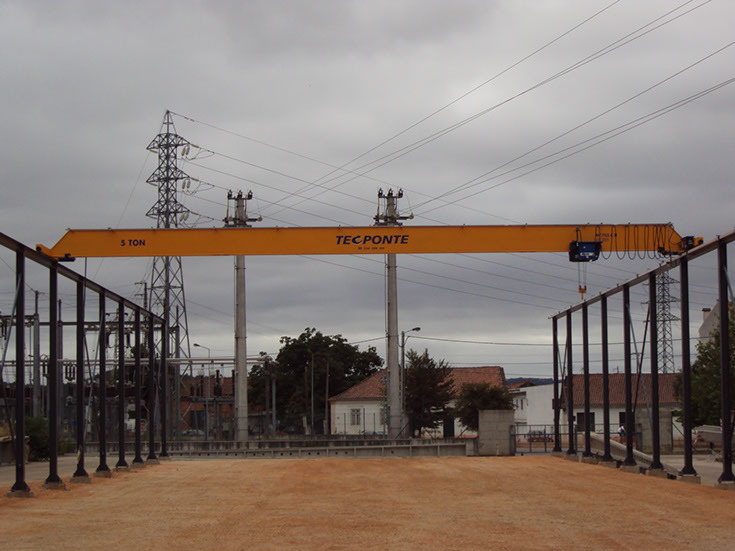 The system by remote control allows the user of the crane the total freedom of movement. 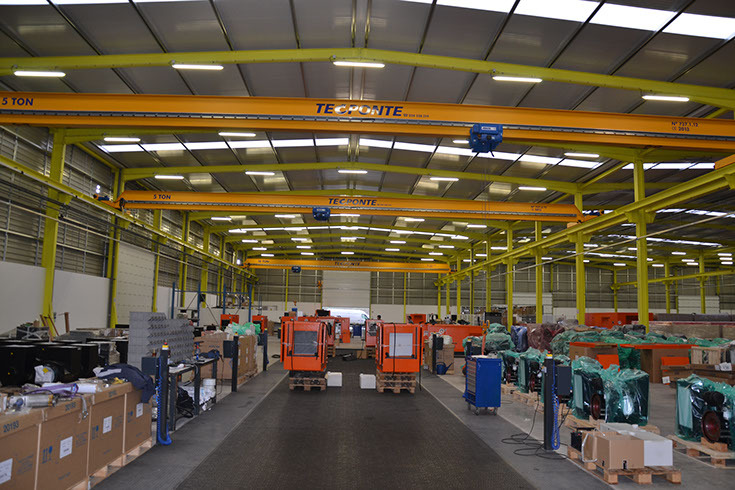 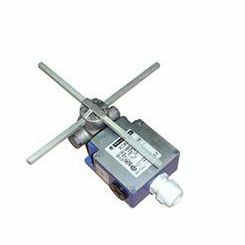 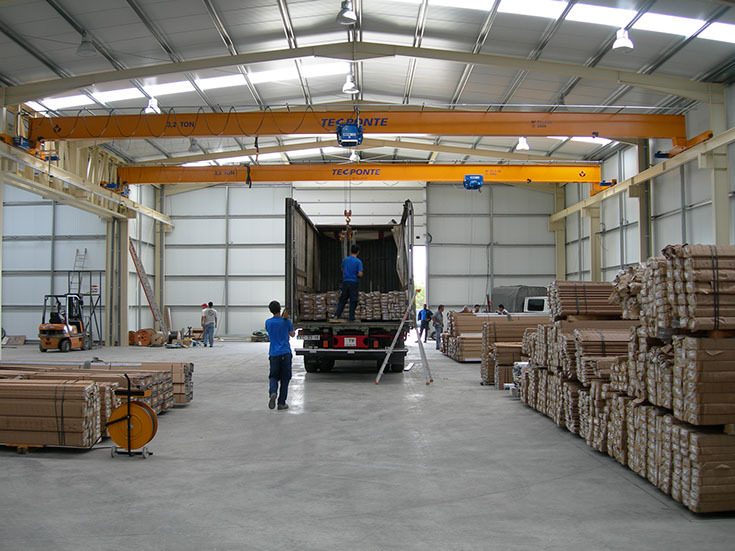 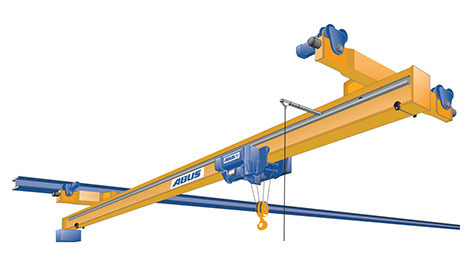 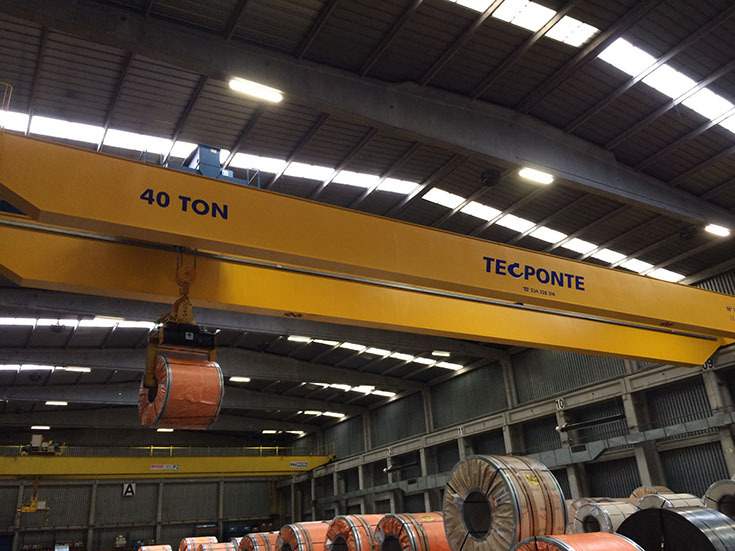 They limit the transverse movement of the crane and the steering movement of the Hoist Trolley, which can slow down and then stop. 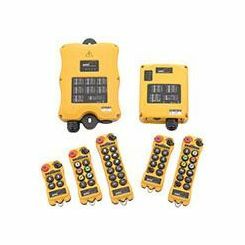 The anti-collision system is based on the measurement of distance through photoelectric cells to prevent accidental shocks. 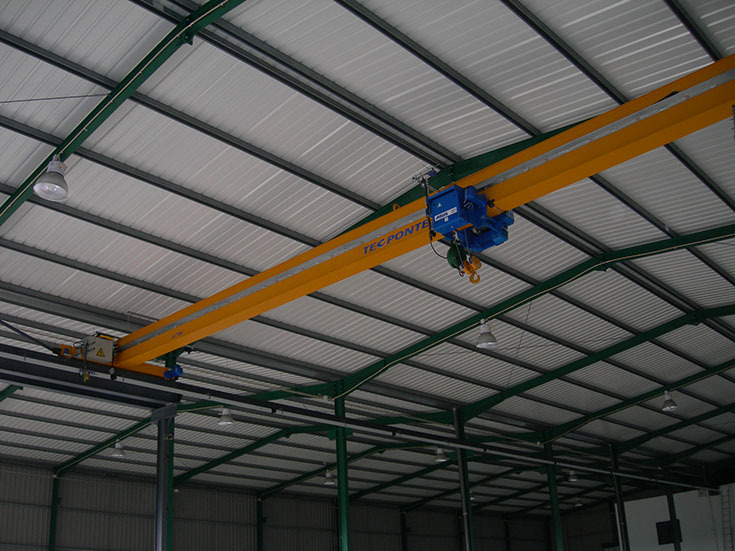 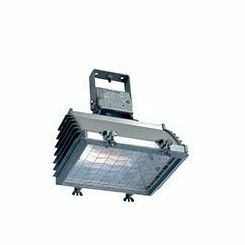 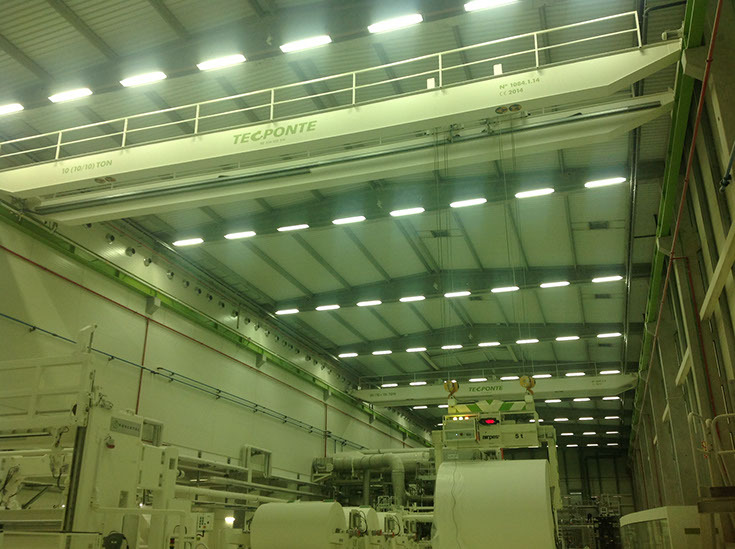 Halogen Projectors ensure an effective lighting system in the lower area of the crane. 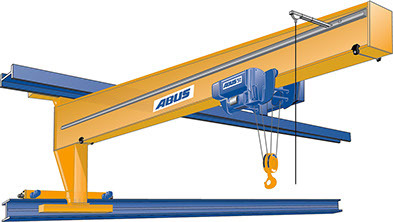 System that prevents the crane from working with very high wind values.